Today, losing a tooth or indeed several doesn’t mean that you have to either live with the gap or wear dentures. Advancements within the field of dentistry are giving patients more choice. Dental implants offer a safe, permanent and aesthetically pleasing alternative to simply putting up with second best when it comes to one of your very best assets, your smile. In this interview, leading dental implantologist Mukesh Soni explains more. Dental implants enable you to have one or more of your missing teeth replaced with permanent teeth that both look and feel like your own teeth. They are attached to small titanium screws that when placed in the jaw, act as anchors. With dental implants it’s possible to replace every single one of your teeth or just one. That’s generally good news for people who have suffered a physical trauma where their teeth have borne the brunt of their injuries. It’s not a painful process because 90% of our patients are sedated whilst we are placing their implants. How does missing teeth affect people? What I have found is that when people have dentures or when they lose some of their teeth, they can become social recluses. The things that they may have taken for granted before losing their teeth, for example, kissing, eating, smiling and laughing, suddenly become obstacles because they are conscious of opening their mouth. What many people don’t realise is that losing teeth affects the shape of their face. Cheeks become sunken and the lips lose their fullness. Once we have placed dental implants, the face is restored to its original shape. The joy on the face of your patient when they see themselves in the mirror is a sight to behold. How qualified must you be to place dental implants? Legally, any dentist can place implants or restore teeth. However the General Dentistry Council and the Royal College of Surgeons frowns upon the weekend and one-day courses that currently enable any dentist to start placing implants. As for me, I am grateful to have been mentored by the UK’s leading implant luminary, Ashok Sethi and the grandfather of implant technology, Dr Hill Tatum. Because dental implants is the area that I focus on, I have studied for a diploma in dental implantology at the Royal College of Surgeons. In the last 14 years alone I have placed over 2500 dental implants. They need looking after in exactly the same way as your own teeth. They can last as long as 30 years but at least 15 years. It depends on the skill and experience of the dentist. I treat people in their 40s right through to their 80s. People who don’t want to wear dentures because they feel that they are missing out on fully enjoying the taste and texture of food. I also treat many people of all ages who have had a sporting accident or suffered another trauma resulting in the loss of teeth. Because I have been placing implants for 15 years, I can place them on the same day. people expect quick results and thankfully that is often possible. However, there are also cases where several treatments will be necessary. I always discuss this with a patient before embarking on any treatment. What brought you into dentistry? When I was 13 I decided that I wanted to become a dentist. I studied dentistry at university and after becoming a principal of my very first practice, I began a tour of the USA and Europe. I wanted to study all of the cutting edge techniques in dentistry and I still have that desire to learn more today. 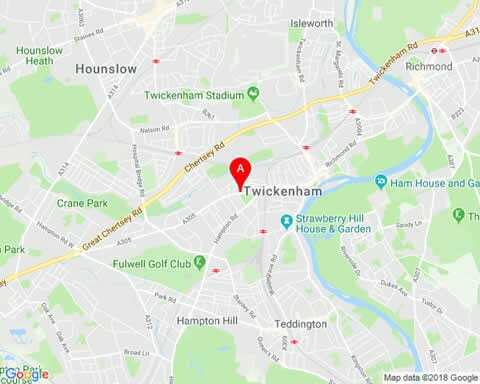 I now have a state-of-the-art surgical Centre in Twickenham with a dedicated implant team that has been with me for 10 years. I met Vatsal Amin many years ago and I now offer consultations in Horsham. I consider it a real privilege that in some small way I can improve a patient’s self-esteem, simply by giving them back their natural smile.